Fans of the British sci-fi cult classic TV show Doctor Who can finally catch up to their UK counterparts and download two episodes of Doctor Who: The Adventure Game, a series of episodic adventures set during the recently aired fifth season that aired in the UK, and recently completed its run on BBC America. Following the premier of the new season in the UK on April 3, the BBC announced that it would supplement the season with four “interactive episodes” that would be considered as canon to the show’s history. 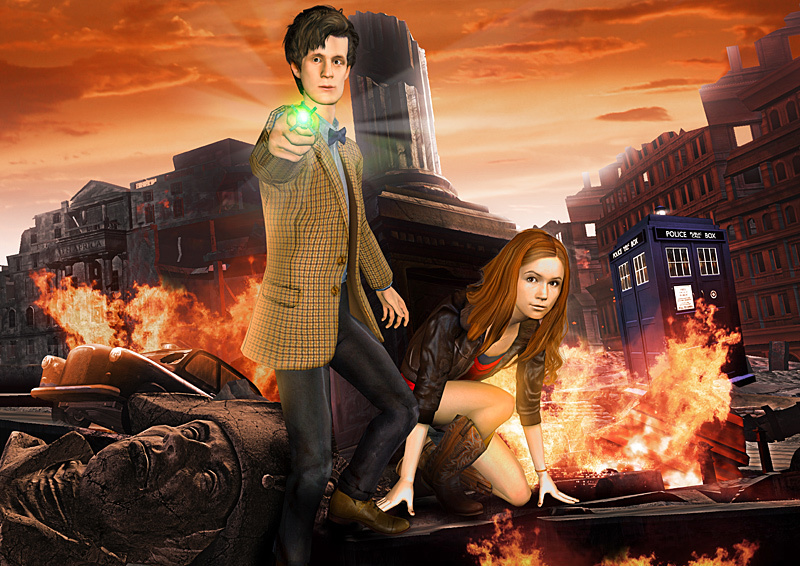 The episodes feature the voices of show stars Matt Smith as the Doctor and Karen Gillan as Amy Pond, both of whom are playable characters. Due to BBC subsidies, the episodes have been free to download in the UK since June 5 and June 26 respectively, but they will require purchase everywhere else. Originally priced as $4.95 for the first two episodes, the bundle has dropped to a very reasonable $3.70. The second and third episodes will follow the same pattern, but no date or details have been released on either. The first episode, “City of the Daleks,” sends the Doctor and Amy to an alternate 1963 where the Daleks have all but wiped out humanity. In order to correct the timeline and defeat the Daleks, the Doctor returns to Skarro, the home of the Daleks. The second episode, “Blood of the Cybermen,” takes place in a remote arctic base under siege by an army of Cybermen that have been frozen under the ice for 10,000 years. The episode marks the return of the Cybermen of the original Doctor Who universe, although their design is nearly identical to the Cybus-designed alternate universe Cybermen that have been featured in the recent show. If none of that makes sense to you, don’t worry, fans of the show should be suitably impressed by the scope of the plots. The episodes are now available to download through Direct2Drive.